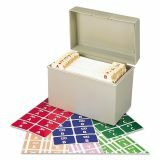 Smead Alpha-Z Color-Coded Second Letter Labels Starter Set, A-Z, 2200/Box - File folder label assortment includes ACCS Color-Coded Alphabetic Label Sheets. 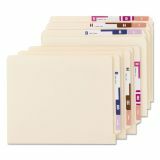 Put an end to misfiled records and cut filing and retrieval time with these color-coded alphabetic labels that wrap around the folder tab (top tap or end tab) so they are readable from both sides of the folder. 13 colors in two print designs code all 26 letters and are compatible with other Alpha-Z label styles. First half of the alphabet has a white letter, and second half has a white letter plus two white bars against colored background. Clear laminate keeps labels clean and colors bright, even with frequent handling. Use as a secondary label with NCC style name labels or as primary coding labels with computer-generated name labels. Each sheet has 10 labels. 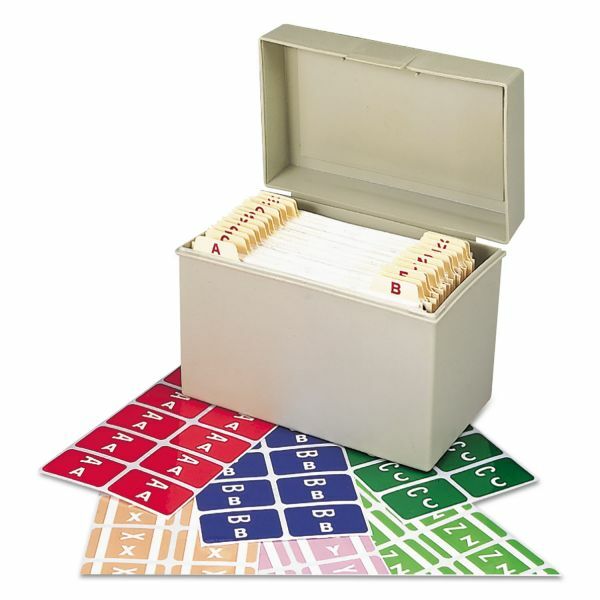 Labels come in a reusable pegboard display bag.